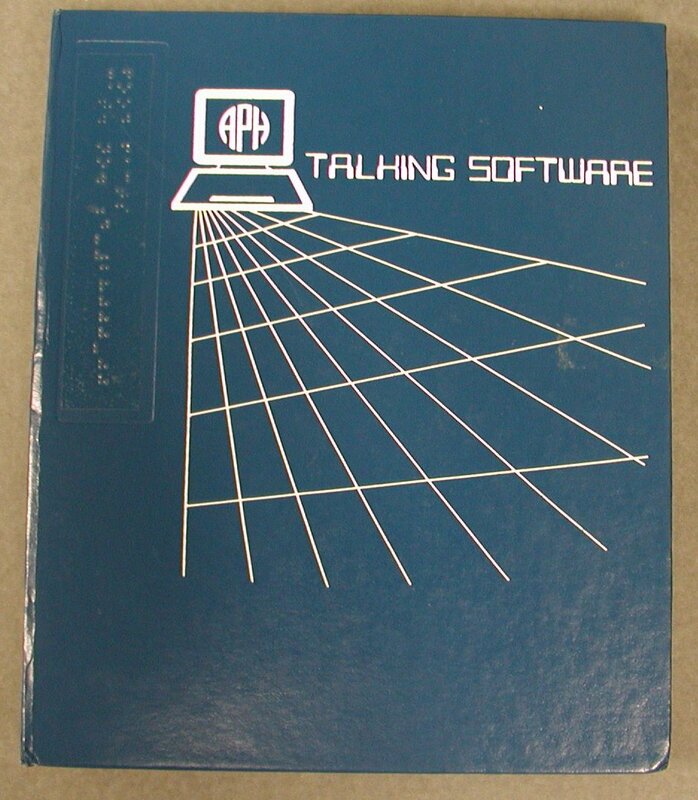 Our object this week celebrates the first computer software produced by the American Printing House for the Blind, the Talking Apple Literacy Kit, published in 1986. Today, we know Larry Skutchan as the head of our TPR—Technology Product Research—area, but back in the mid-1980s, he was just another whiz kid we had hired to dip our toe into microcomputing. 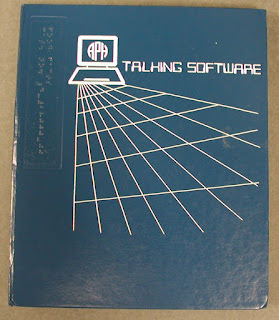 Larry had done a lot of pioneering work on voice synthesis and word processing, so it was only natural that we put him to work on talking software. The Apple IIe computer was pretty advanced for its time, and worked well with early voice synthesis modules like the Echo. Larry reminded me this morning that computers were new to just about everybody, even the most basic concepts, like how to turn the thing on. 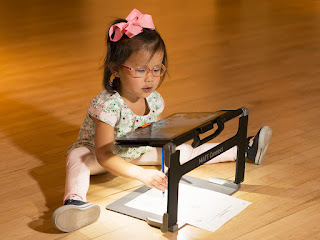 The Literacy Kit introduced new computer users to the mouse, and the idea of a cursor that you could move around a block of text to edit or insert new material. It included some games, like Dragon Maze and Space Invaders. The manual came on two audio cassettes and in braille, and the programs were written on three black plastic “floppy disks,” each of which could hold about 1 megabyte of data. By comparison, most people carry around phones today that can hold 32,000 megabytes, and those are the most basic models! 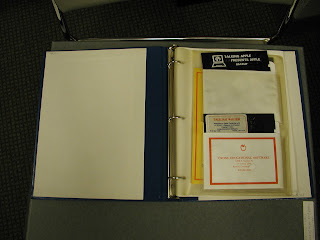 Photo caption: The Talking Apple Literacy Kit came in a blue three-ring binder with pockets for disks and cassettes. The first photo is the outer binder; the second is a shot with it opened to show the diskettes.